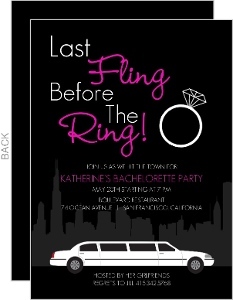 It's time to take the bride out one last time for night on unmarried debauchery and bliss. 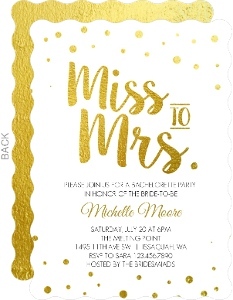 I've heard these parties going in so many different directions, so there's no set tradition here. 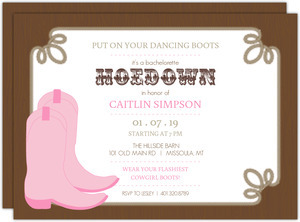 Sometimes it's just a spa retreat, sometimes it's a full on vacation to pick up the dress, sometimes it's a dance night at the club, and sometimes it gets pretty suggestive. 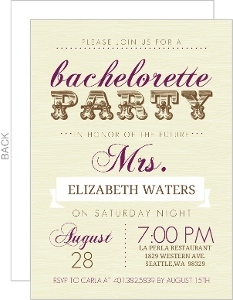 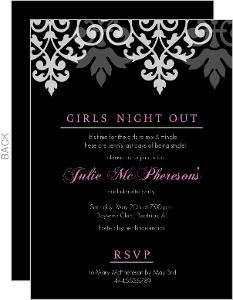 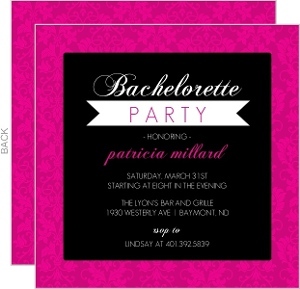 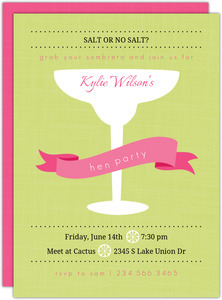 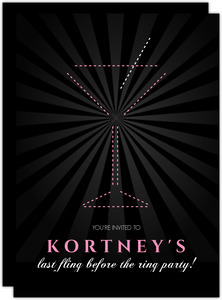 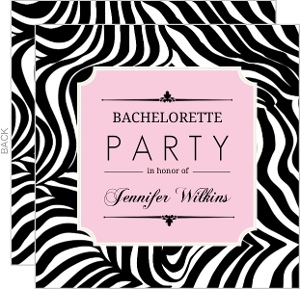 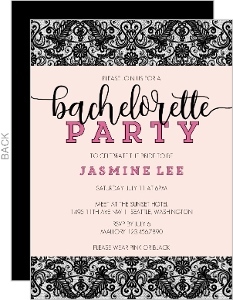 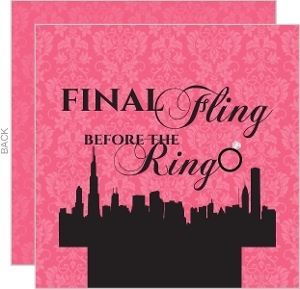 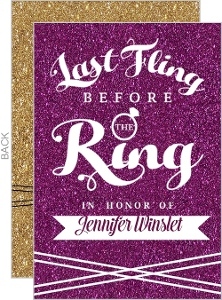 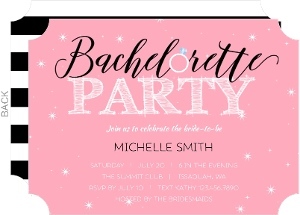 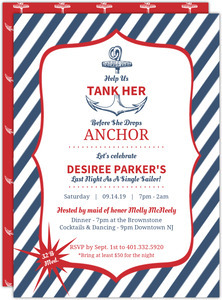 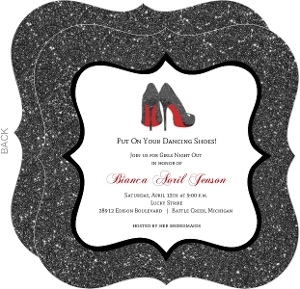 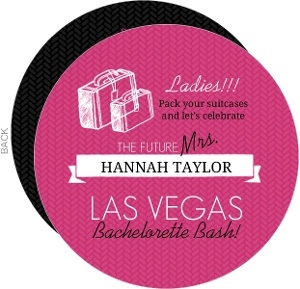 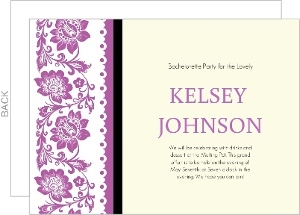 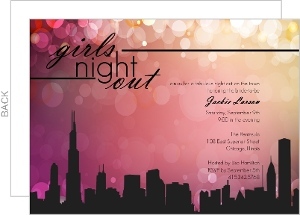 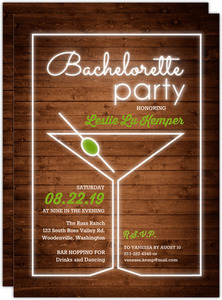 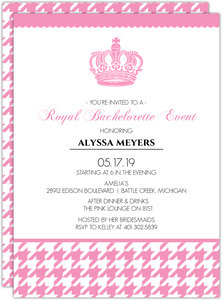 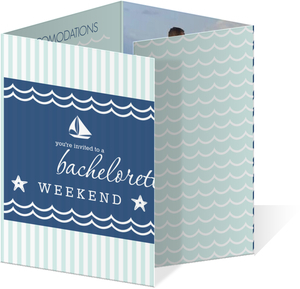 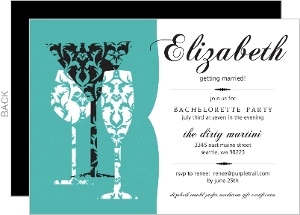 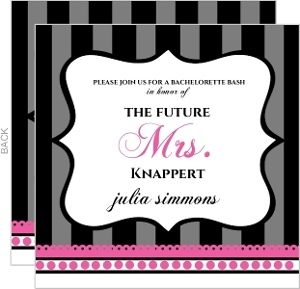 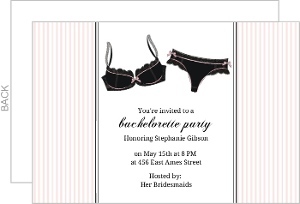 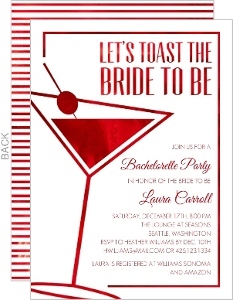 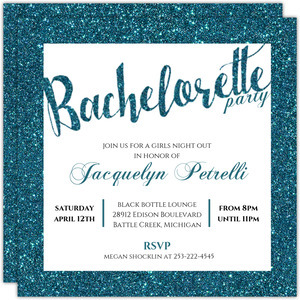 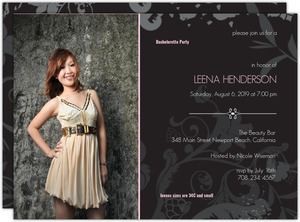 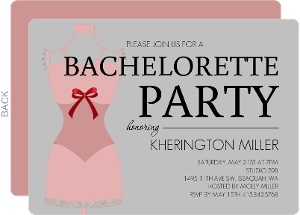 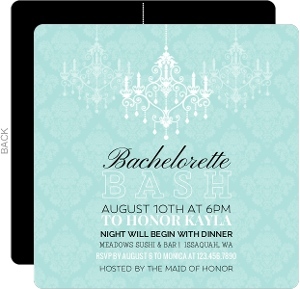 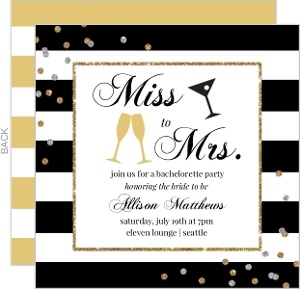 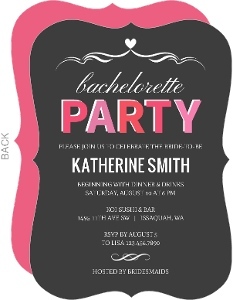 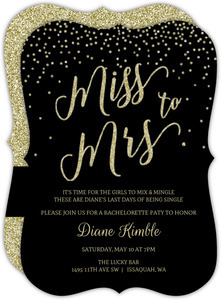 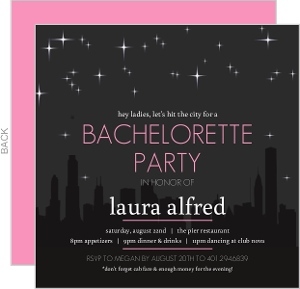 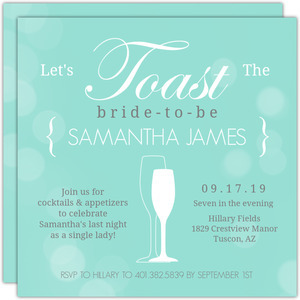 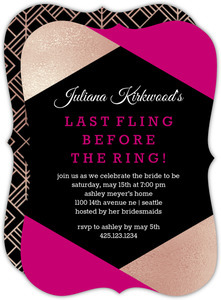 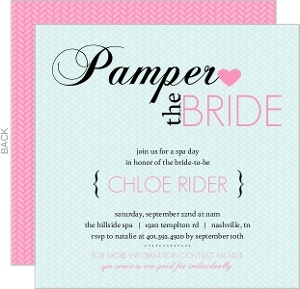 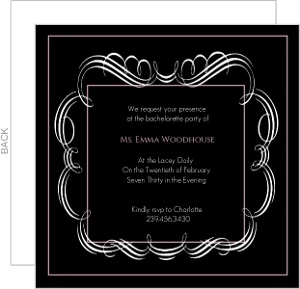 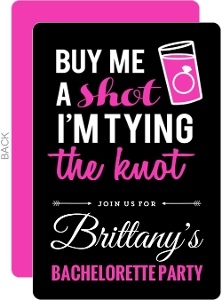 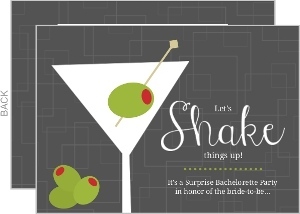 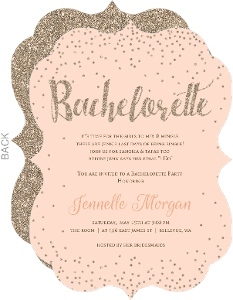 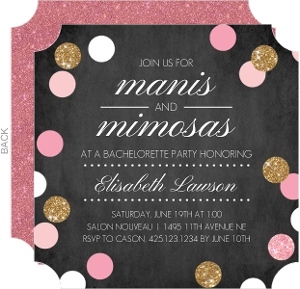 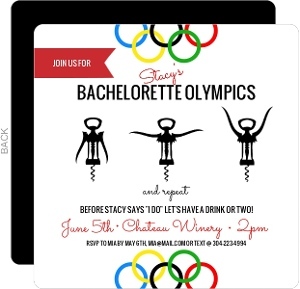 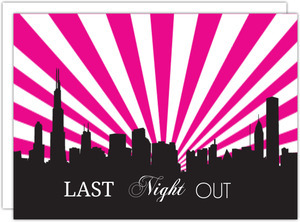 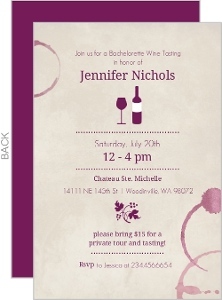 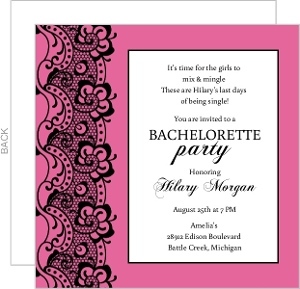 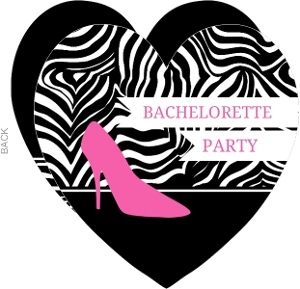 So, with there being numerous themes and directions for these parties, we've provided a really nice blend of bachelorette party invitations that can work for a great many purposes. 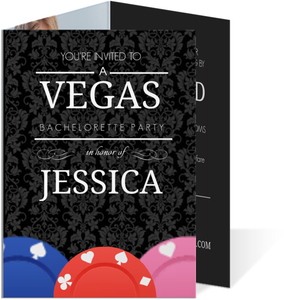 So pick one that's close, and hit that personalize button, I bet you'll like what you can make.